The plan by AT&T to acquire Time Warner for US$85.4 billion has come under the microscope of U.S. politicians and public interest groups that are concerned about the antitrust implications of the mega-deal. On Saturday, Randall Stephenson, AT&T chairman and CEO, said the deal would let it combine premium content with the networks to deliver it to every screen, including mobile displays. But many politicians including Democratic party presidential candidate Hillary Clinton and her Republican rival Donald Trump are concerned about the implications of the deal. U.S. Senators Mike Lee, a Republican from Utah, and chairman of the Senate Judiciary Subcommittee on Antitrust, Competition Policy, and Consumer Rights, and ranking member Amy Klobuchar, a Democrat from Minnesota, said they will hold in November a subcommittee hearing on the proposed acquisition. 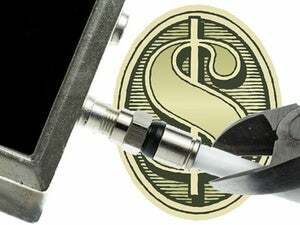 There is concern that as the owner of pipes to the consumer such as DirecTV, the satellite TV company it acquired last year, and its broadband and mobile services, AT&T could skew the market by giving preference to content from Time Warner over that of its rivals. DirecTV might favor Time Warner content by crowding out or refusing to carry other programming that viewers might prefer, wrote John Bergmayer, senior counsel at Public Knowledge, a public interest organization in Washington, D.C., when press reports of the proposed acquisition first started making the rounds. AT&T might also make it expensive or difficult for competitors to DirecTV or to its streaming service to access Time Warner programs, so as to drive customers to its own platforms, Bergmayer said in a statement last week, which expressed similar concerns about AT&T favoring its own content on its broadband networks. Clinton has also weighed in favor of a close scrutiny by regulators of the AT&T-Time Warner deal, her spokesman told reporters on Sunday. Brian Fallon said that there were “a number of questions and concerns” about the proposed acquisition “but there’s still a lot of information that needs to come out before any conclusions should be reached,” according to Reuters. AT&T expects that the transaction with Time Warner will close by the end of 2017, and said it was subject to review by the U.S. Department of Justice, and possibly the Federal Communications Commission to the extent that FCC licenses may have to be transferred to AT&T under the deal. But AT&T may be too optimistic about the time line as political and other forces line up against the deal. A similar acquisition proposal by Comcast to acquire NBC Universal in 2009 likewise came under regulatory scrutiny and the deal was finally cleared in 2011 after a number of conditions were imposed. Franken said regulators often agree as was evident when Comcast’s bid to buy Time Warner Cable was stymied last year. AT&T’s rivals are also likely to watch closely as events unfold, more so as Time Warner has been a coveted acquisition in the past. Disney has said that the deal will have to be reviewed by regulators. “A transaction of this magnitude obviously warrants very close regulatory scrutiny,” Zenia Mucha, chief communications officer for the Walt Disney Company, told some media outlets. Late Sunday, AT&T said that the editorial independence of CNN, a part of Time Warner, would be maintained. “Our intent is to operate Time Warner as it operates today, with autonomy in its divisions,” it said in a statement.